The A.T.A.C. 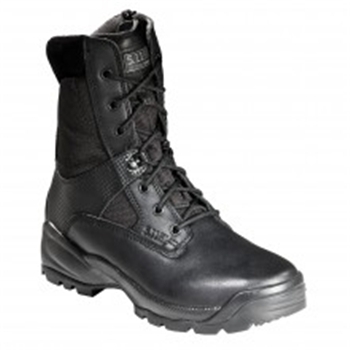 boot series was designed by and for law enforcement professionals for the most comfortable work day possible. U.S.A. leather ensures a sharp appearance with a shiny polishable toe, 1200D Cordura nylon for durability, our new Shock Mitigation System (TM) technology for support, and an oil/slip resistant outsole for stability. The A.T.A.C. 8" side zip boot features a hidden side pocket, curved YKK zipper for easy on and off capability. The A.T.A.C. series is the most comfortable high performance footwear available. Imported.